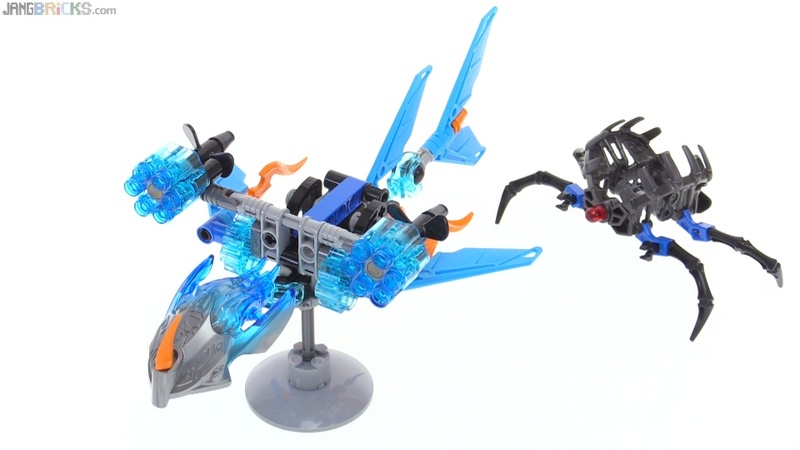 At stores near me, LEGO Nexo Knights sets seem to have caught on quite well with buyers. Many products from the series have sold out of shelf stock multiple times. 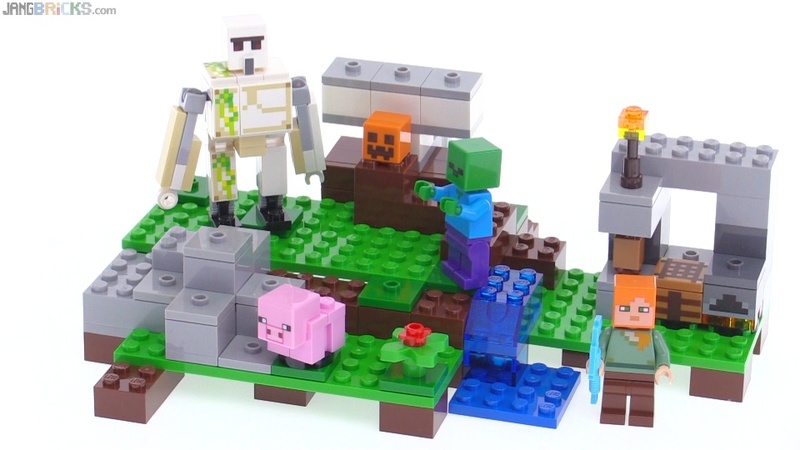 I don't think this polybag has made it to the US mass market yet, so I just built it up from spare parts to share a good look with you all. Here's my first look at the new season of LEGO Elves, featuring the lime & bright green Earth Dragon. LEGO Series 2 Collectible Minifigs from 2010 reviewed! 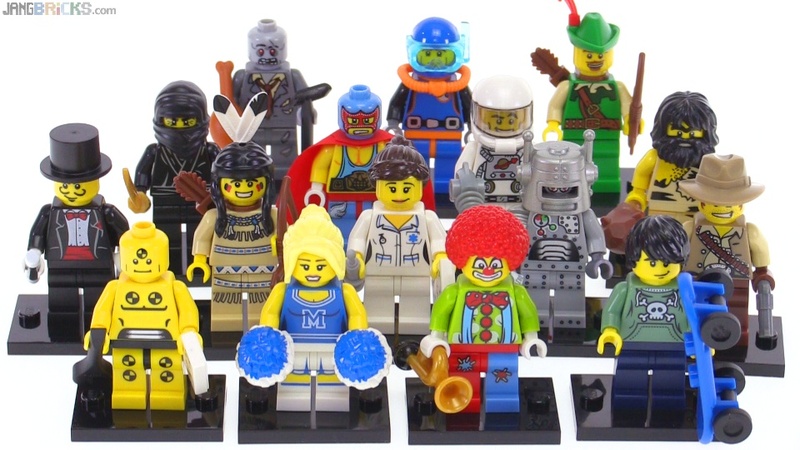 Here's a look at each of the figures from the second CMF round of 2010, featuring memorable characters like the Mime, Witch, and Mariachi. 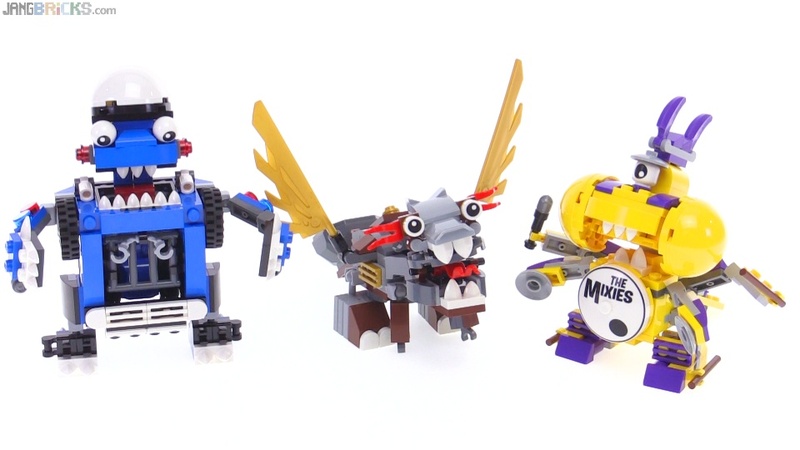 Video: LEGO Series 2 Collectible Minifigs from 2010 reviewed! 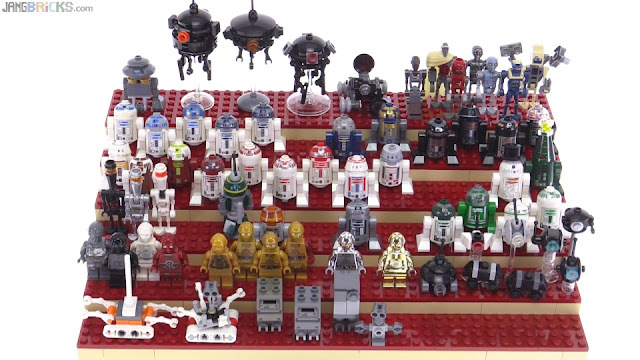 As requested by viewers, here's a look at the LEGO Star Wars droids I've collected up to this point, some of which have been seen in Bricklink haul videos over the past few months. Battle Droids (the type of 'bot I'm least interested in), BB-8, and many other things you may have seen me show in previous videos have been omitted at this stage for various reasons. There are a ton of lil' dudes that I still need to collect, but I have a thorough list tracking my progress. This is just what I had ready to show at this time. LEGO 2016 Iconic Easter w/ Chicken Suit Guy unboxed! My local Toys R Us had a carload of these things out for sale, so I picked one up to see exactly what it was all about. It's a box and a figure (and no stand for the figure). It costs twice as much as the figure did (with stand) when it was out just a few years ago. Video: LEGO 2016 Iconic Easter w/ Chicken Suit Guy unboxed! Now for a brief rant that's only tangentially related to this product. 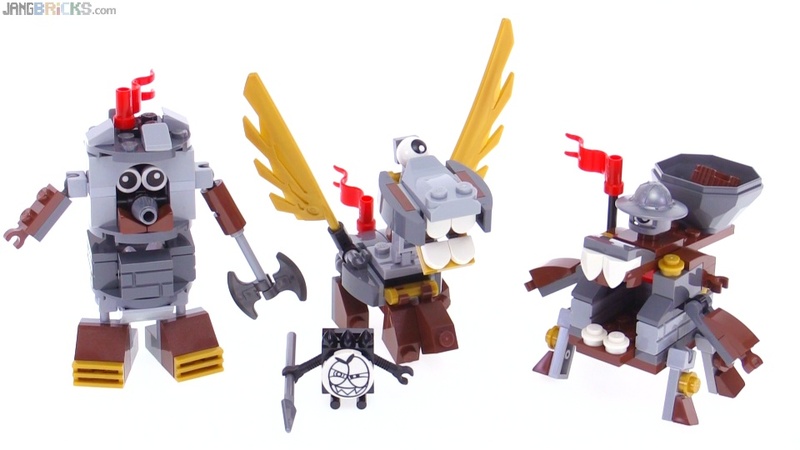 On YouTube I'm already seeing a lot of comments about the original series 9 Chicken Suit Guy going for $20-30 USD on Bricklink, eBay, etc. In my view it's positively outrageous that a minifigure that was produced in huge quantities (many tens, if not hundreds of thousands) and made widely available around the world for many months, just a few years ago, can experience such tremendous aftermarket price inflation. Things that are rare, sure. Limited releases, sure. 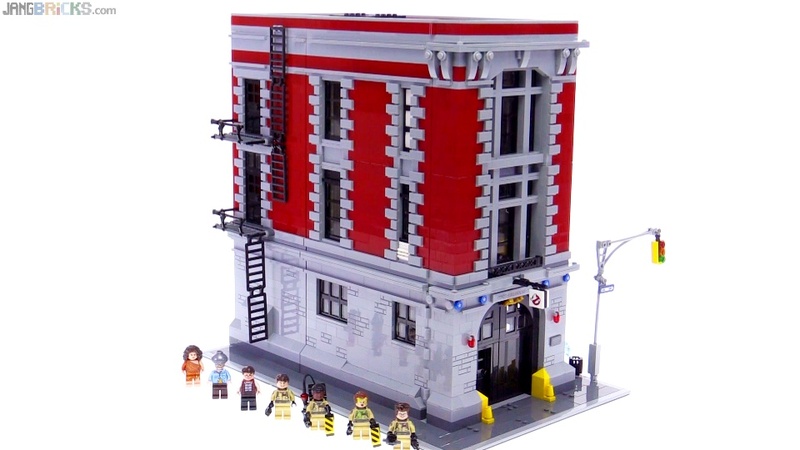 Highly desirable sets more than a decade old, makes sense. Anything that quickly sold out without even fulfilling initial demand, absolutely. A high-volume, lower-quality (China factory), modest-demand, $3 USD commodity item like this? Positively outrageous. 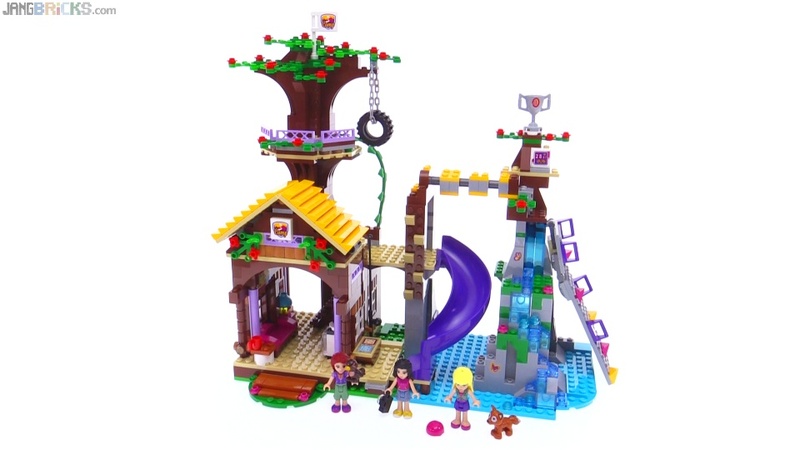 A 3-year-old CMF shouldn't cost more than $6-10 USD, tops. 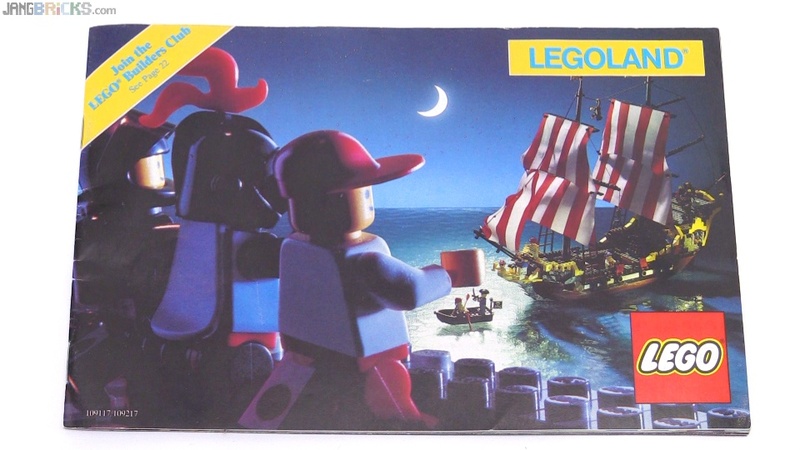 The over-inflation isn't the fault of The LEGO Group, either. 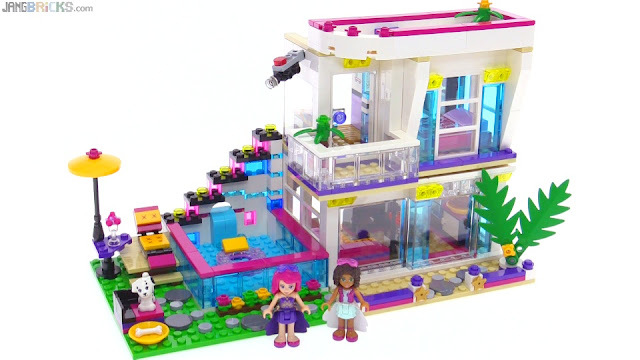 Secondary market sellers have been able to manipulate things too far with the help of the current hype & craze around the LEGO brand. 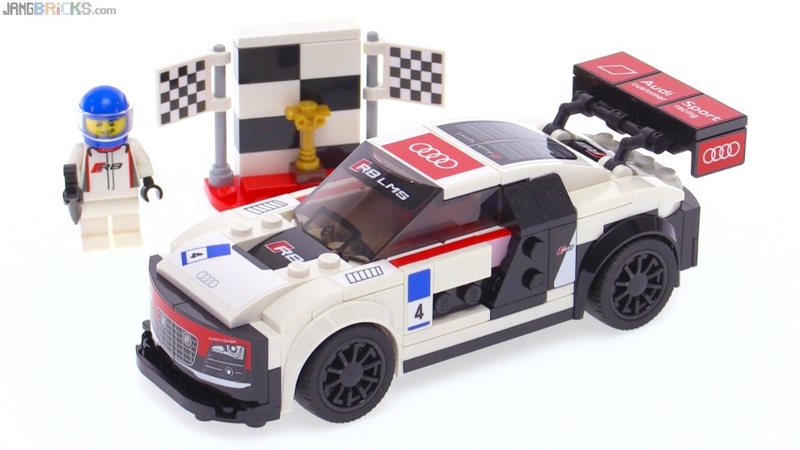 I look forward to a proper, massive correction in the LEGO secondary market. It's much needed. Thankfully, every precedent indicates that such correction is certain to occur in due time. I'm guessing it'll take another 2-3 years, though, as we need to get through this series of LEGO cinematic movies and the bolstering effects of their high-dollar marketing campaigns. Perhaps TLG itself will help the situation with more direct re-issues of overvalued items, like this! 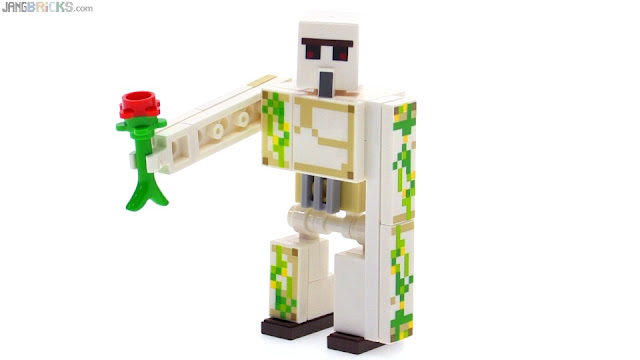 I first made my Iron Golem MOC back in October 2014 before the first official LEGO Minecraft sets were released. I was happy enough with it then, but now that the official mob is out, I'm able to use better parts! This is a modification of my original and still has some of the original body parts in it, unmoved, but I've made some small structural alterations and also completely rethought the legs. Much better now! Yes. This is another example of exactly what Mighty Micros is all about, and how they should be done. The video is very short, and very positive. 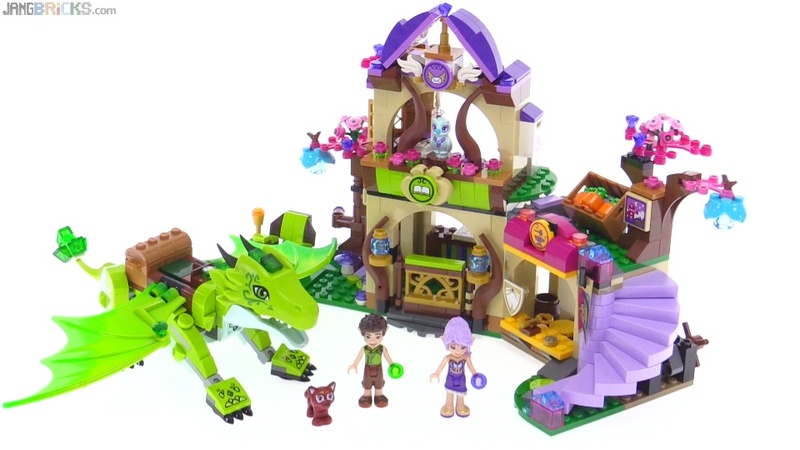 Ahhhh what a long name of a set! Comes with a lot of stuff, too, and with an extraordinarily low price/part ratio. 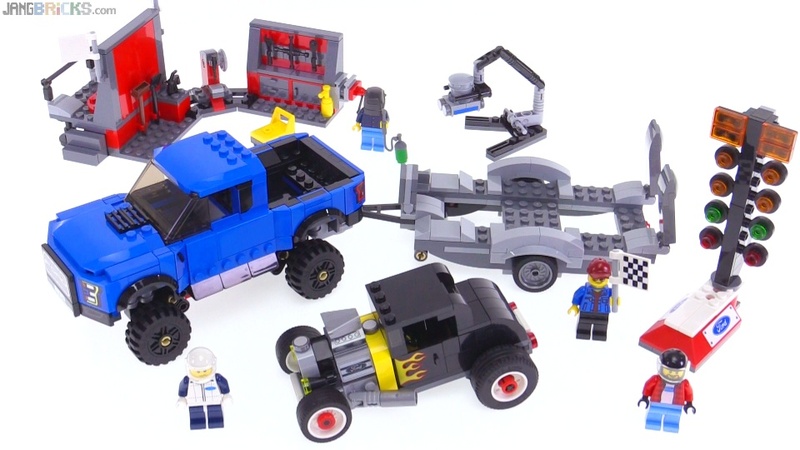 The value is exceptional and I very much like many of the component builds. Many. Not all. LEGO Series 1 Collectible Minifigs from 2010 reviewed! Throwback Thursday action, anyone? Here's a look at each of the 16 figures that made up the first "CMF" series back at the turn of the decade. Some of these are still pretty desirable for normal use and not just collection & display to this day. 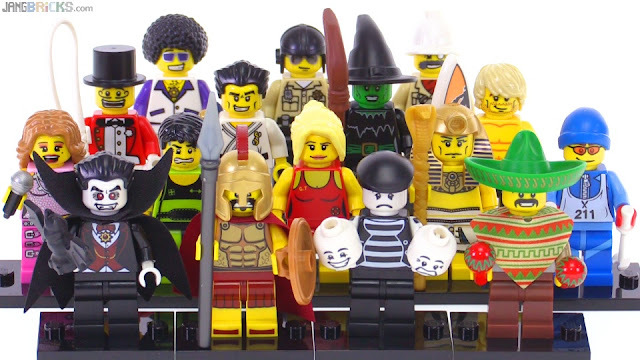 Video: LEGO Series 1 Collectible Minifigs from 2010 reviewed! 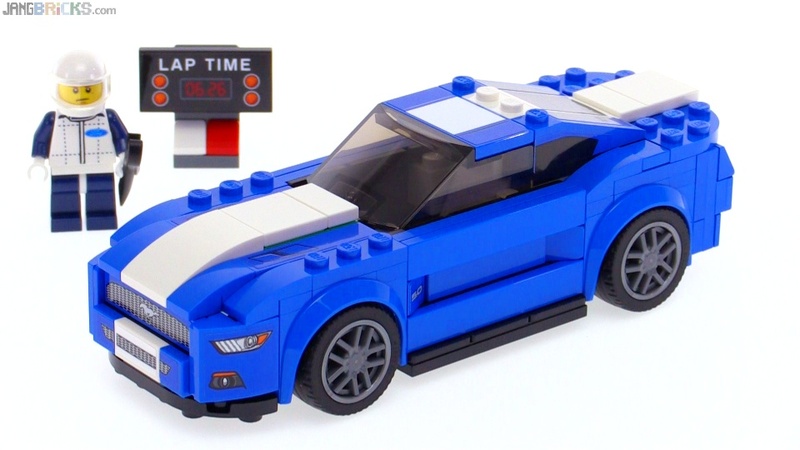 Yea buddy, another Speed Champions review down, still plenty more to come. This is another of the good ones in my view! 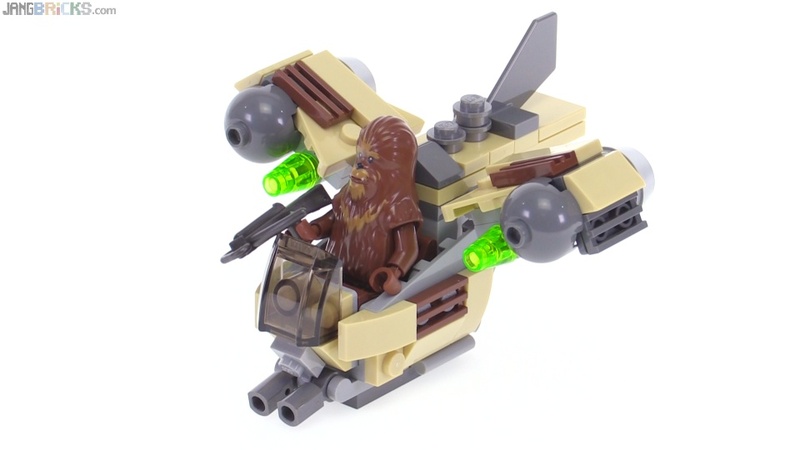 Finally the last of my Microfighters review for this season! This set features a brand new 6th gen 2016 Camaro lined up against a heavily modded 1969 SS that has, unexpectedly, two different power adder options. Where's the traditional Christmas tree, though? 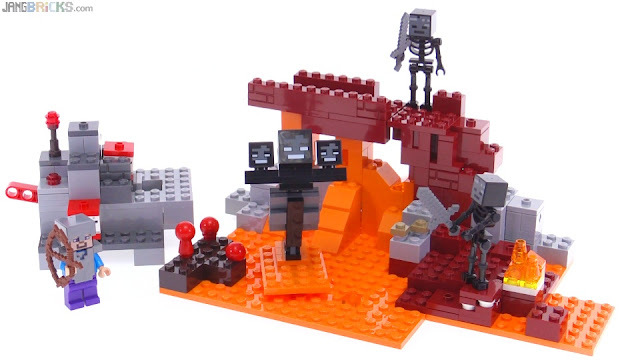 This is the last of the reasonably-sized Minecraft sets for the first release season of 2016. The next one up will be the big Fortress! 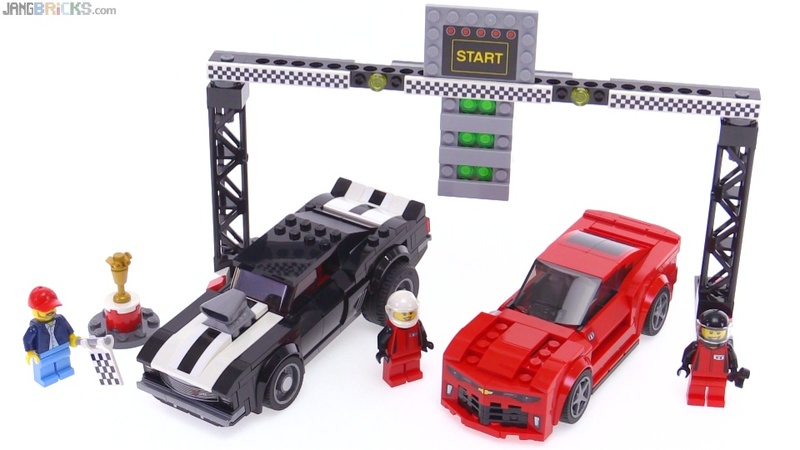 LEGO Speed Champions Porsche 919 & 917K Pit Lane review! 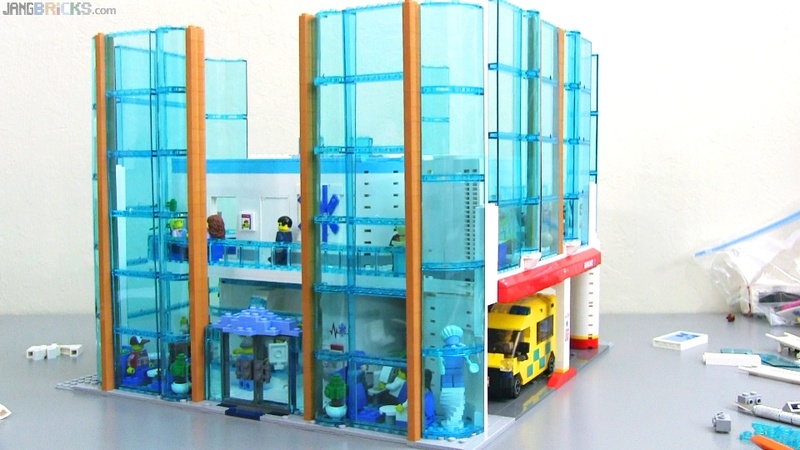 How would you like to apply about eighty stickers to a LEGO set, many of them 1x1 or 1x2 in size and demanding most careful alignment? Sounds like a nightmare to me. It wasn't though, at least not for me, as I firmly feel the ends justify the means. 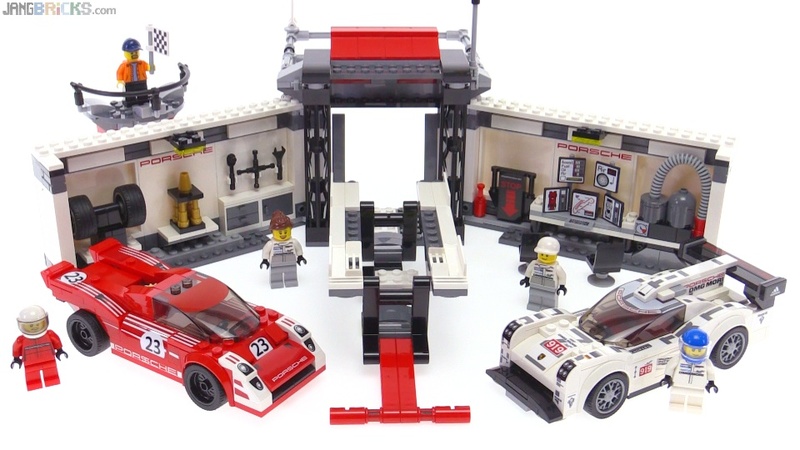 Video: LEGO Speed Champions Porsche 919 & 917K Pit Lane review! 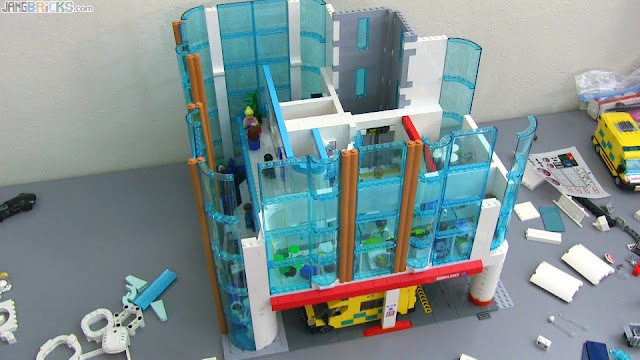 Thank you all for over one million views of my hospital progress videos to date. I'm still sorry it is going to slowly, but looking back, I'm happy that each update has had something substantive to show. I'm confident that I'm going to be very happy with this whole thing once it's complete. Wow. Just wow. 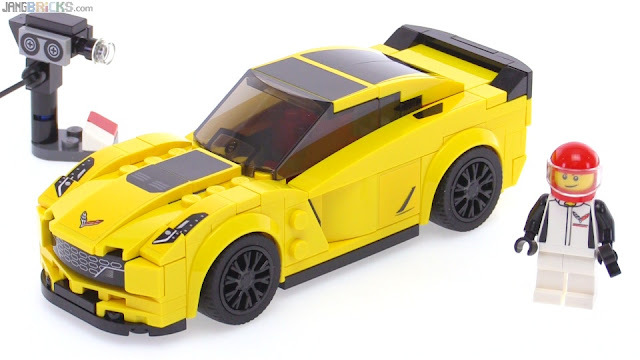 I had reservations about some of the 2015 Speed Champions designs, but the first one I chose to build from 2016 is a real triumph in 6-wide scale. Hats off to the LEGO designer on a job well done. 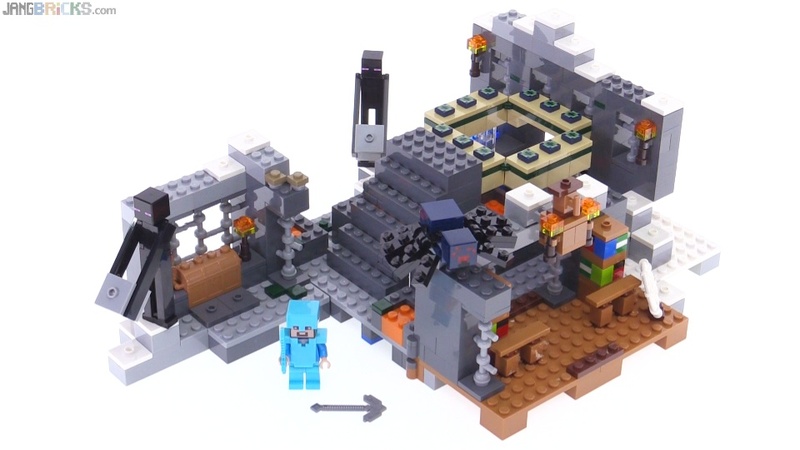 This is such a proper piece of the Minecraft universe, carefully excised, brought into reality and converted to LEGO. Brings me joy and satisfaction to look at. 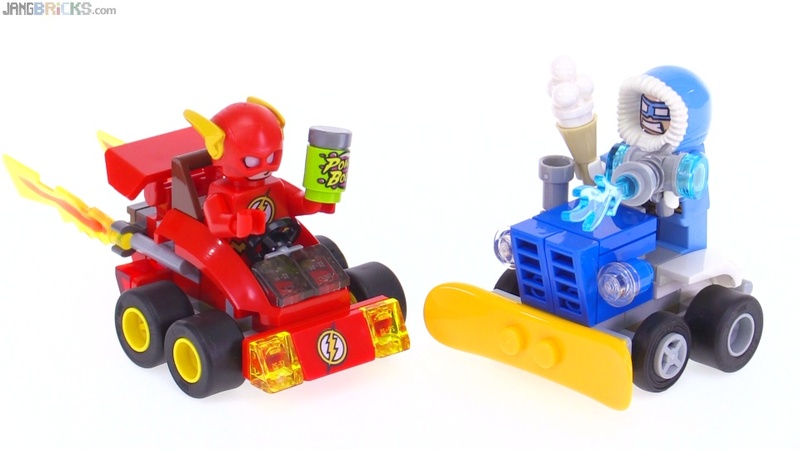 My first Mighty Micros review covered something from the Marvel line, so I thought it only fitting & fair that I'd shift over to the DC Super Heroes side for my second. Fact: After seeing the first box art image of this set, I expected my review to go like a Mighty Micros overview -- fun cutesy little set, but nothing too special. Must buy! 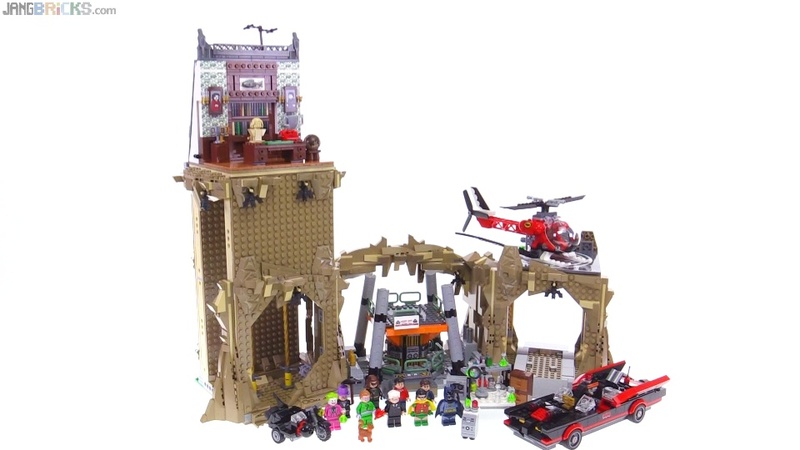 Best set ever! 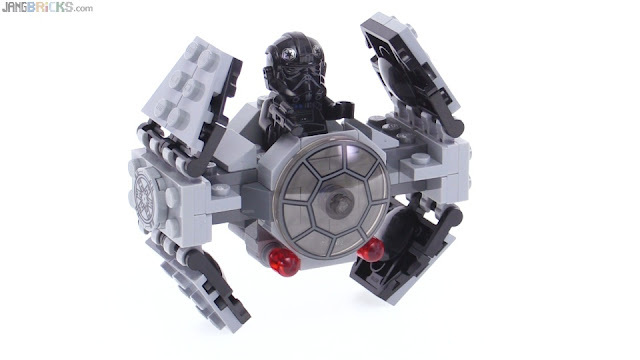 Made by LEGO and therefore the pinnacle of perfection! 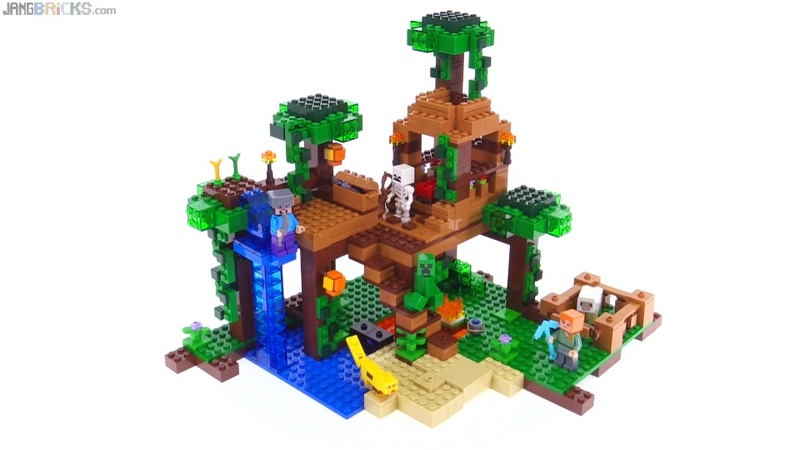 This is none of those things, in my opinion :) Some of the components are really cool, but especially for the price, the entire set has too many misses, too many areas that appear or feel half-finished. Even play value is diminished by some of the design choices. Have a look at the review, if you would, and let me know whether you agree. LEGO Batman Classic TV Batcave 2-minute Speedy Build! Hmm, the actual Iron Golem figure that gives this set its name is a bit iffy to me, but the set on the whole is more interesting than I expected. 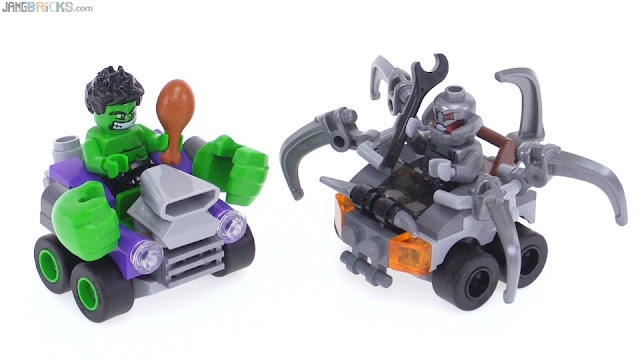 LEGO's new Marvel & DC Super Heroes Mighty Micros series has started showing up in stores, and any long-time followers of my channel should find it completely unsurprising that I love the concept, what with all the "chibi style" stuff I've tried, including my miniature racing-car series I did for Hero Factory. 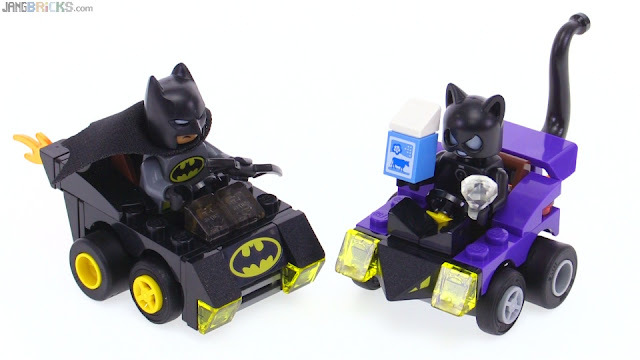 These are not designed for the adult collector market! Gasp! 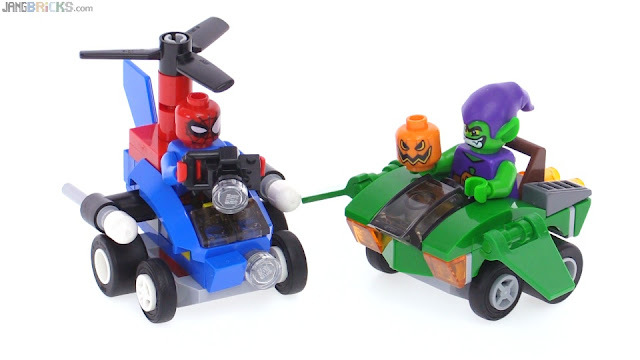 There's nothing wrong with adults liking them, of course, but clearly these are targeted towards younger kids who just want to have crashing vehicles together with inexpensive Super Heroes drivers. Righteous. New JANG City non-progress & self-punishment! 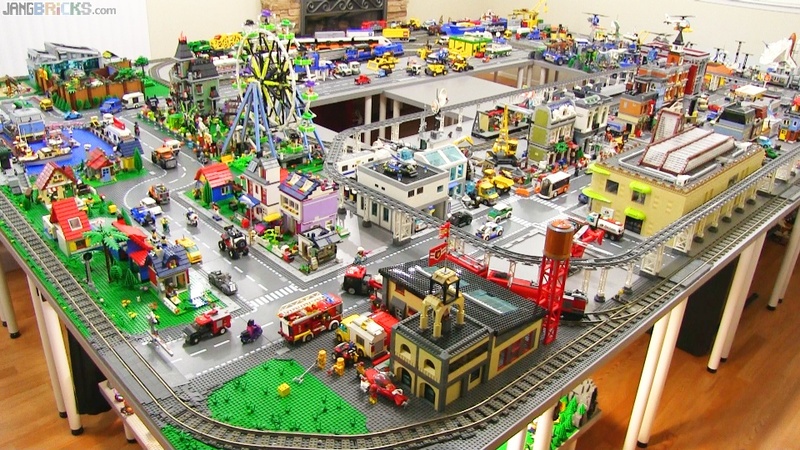 Ah yes, the city layout. That second-class citizen of my LEGO life. Woe is it. Well, I did make some changes affecting a noticeable portion of it this week, so as promised, since there's an update, I've made an update video. Custom freight harbor with ships, containers, crane, trucks, etc. 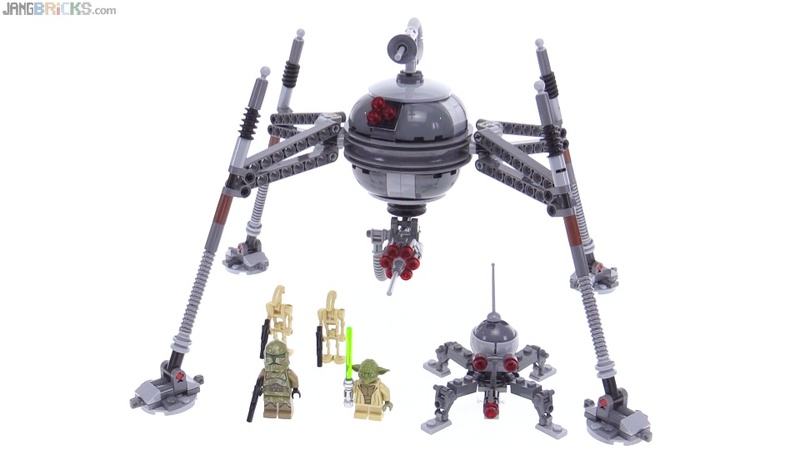 Back in 2013 when I was still fairly new to reviewing brick-based sets, I had the misfortune of trying out the previous Homing Spider Droid set, #75016. The result was what remains one of my more negative videos ever. Thankfully this new version has corrected the major error of the last generation! Finally some love for the lavender-boxed sets again! One more Series 3 Microfighter down, with one more to go. 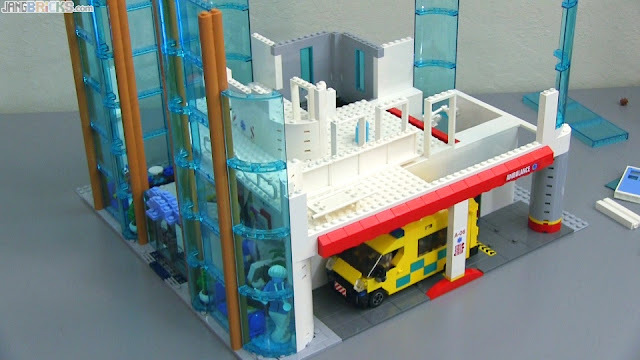 The uniquely-shaped second floor of the hospital is now complete, save for the front fascia which actually has to contribute to the 3rd floor structure :) Onward & upward! 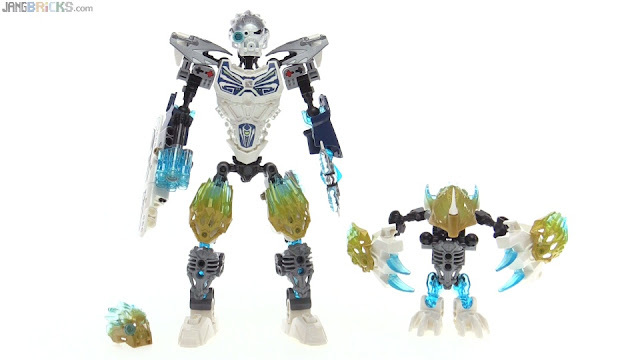 Here's the new counterpart to Gali, a Bionicle "creature" that uncharacteristically includes a very good display stand as well as quite a large Shadow Trap. 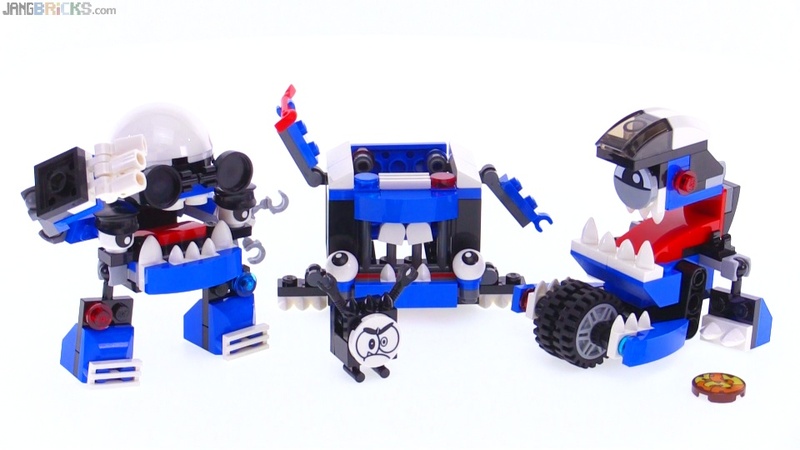 Already wrapping up my coverage of Mixels for this release season, here are the official Max combi models that turn the 9 series 7 tribe members into 3 wacky models. 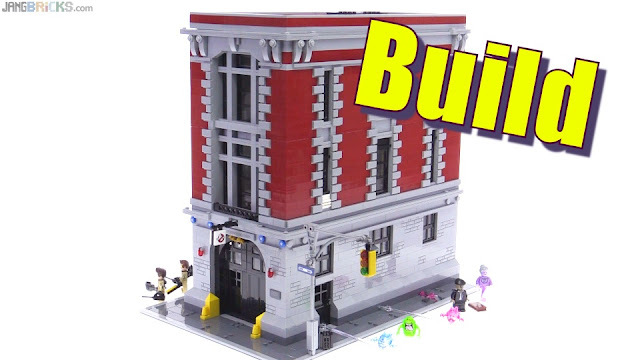 Video: LEGO Mixels Series 7 MAX combinations! 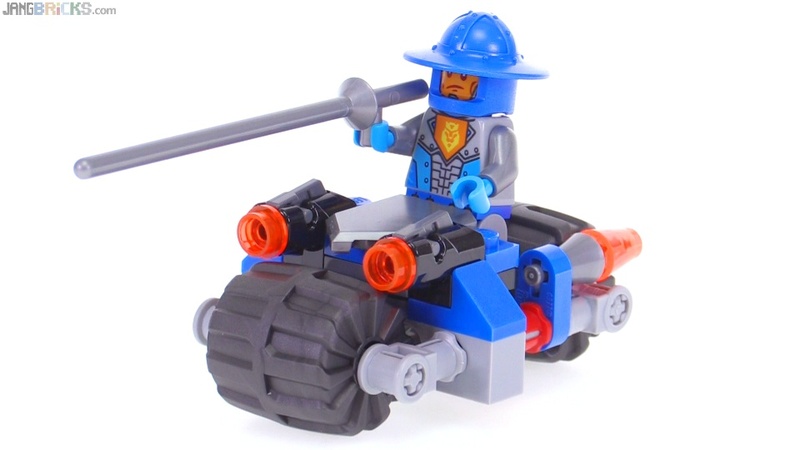 LEGO had a good sense of silliness to make this severely miniaturized version of the largest launch season set from Nexo Knights. 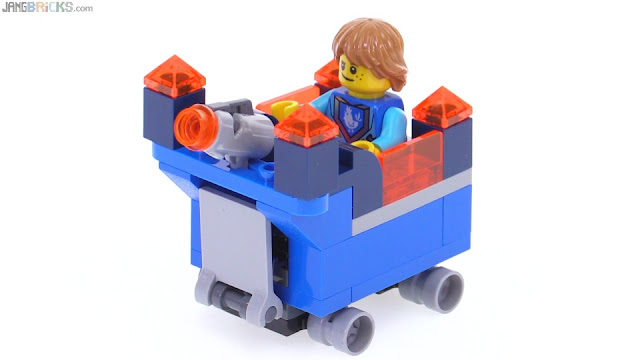 With a kid in the driver's seat, it looks like it may even be a realistically-scaled (for minifigs) future-medieval Power Wheels machine. 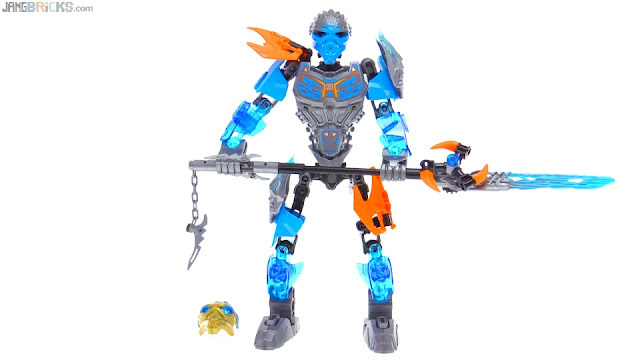 Another one down, just one more Toa to go! All LEGO Mixels Series 7 sets reviewed! The latest nine LEGO Mixels are out and I've reviewed them three at a time, by tribe. These are MCPD, the Medivals (not a typo), and the Mixies band. "Max" combinations will follow. LEGO Mixels series 7 MCPD Kuffs Busto & Tiketz review! LEGO Mixels series 7 Medivals Camillot Paladum & Mixadel review! 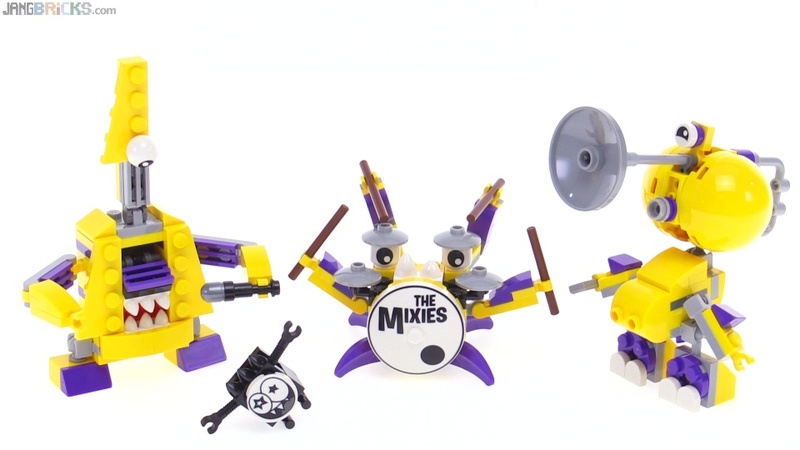 LEGO Mixels Series 7 Mixies Jamzy Tapsy & Trumpsy review! Been awhile since I did one of these. This was a pretty good year. Mega Bloks Call of Duty Anti-Aircraft Vehicle review! I picked up this medium-small CoD set about 2 months ago and I finally got through enough of the higher-priority sets to slip a review of this one into the queue. 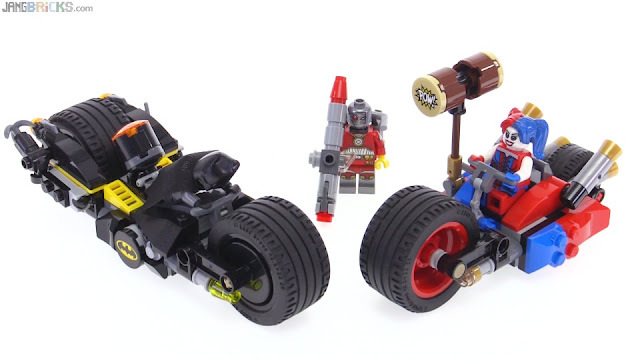 Video: Mega Bloks Call of Duty Anti-Aircraft Vehicle review! 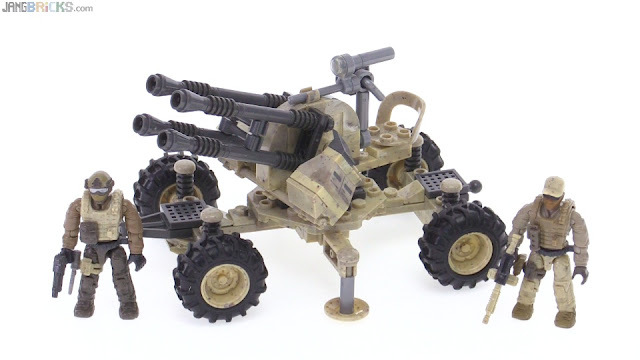 The vehicle is not self-propelled and is intended to represent a Soviet ZPU-4, a real-life piece which appears in quite a few different Call of Duty games. With just shy of 100 videos published to the JANGBRiCKS channel in January alone, I was able to get through the overwhelming majority of new releases, and I'm down to less than two dozen new sets in the queue. With that, I'm now able to divert energies back towards the terribly neglected city! I want the city to noticeably grow twice as much this year as it did last. For reference, check out what it looked like last February. Time for high gear!